(a) & (b) Yes. Morarji Desai National Institute of Yoga (MDNIY), an autonomous body under the Ministry of AYUSH, is a focal Institute for yoga education, training and therapy. 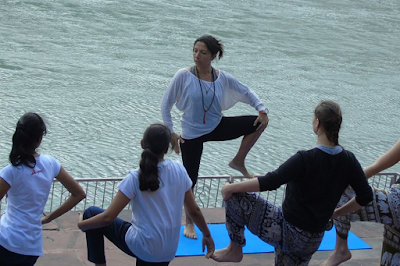 It aims to promote deeper understanding of Yoga philosophy and practices based on ancient Yoga Traditions for holistic health and well being of all. (c) The Institute€s mandate is of a continuing nature, and the Institute has so far been successful in pursuing the same. The list of Programmes/Courses and duration conducted by Morarji Desai National Institute of Yoga (MDNIY), at present, is given in Annexure-A. (d) Morarji Desai National Institute of Yoga (MDNIY) has established Preventive Health Care Units of Yoga in CGHS Wellness Centres in Delhi and NCR: MDNIY has established 19 Preventive Health Care Units of Yoga in CGHS Wellness Centres in Delhi and NCR. Details are given in Annexure – B. (e) Yes. The Swami Vivekananda District Yoga Wellness Centre (SVDYWC) Scheme was implemented during the 11th five year plan under Public Private Partnership (PPP) mode. This scheme had the District as a unit for Yoga intervention aimed at supporting Non Government Organizations (NGOs) partially to promote Yogic activities for public/community health care and to encourage utilization of Yoga professionals in public health care delivery programmes. The scheme was discontinued & closed w.e.f. 01.04.2016. CGHS Wellness Centre, Flat No. 647-648, Krishi Kunj, Inderpuri, New Delhi. CGHS Wellness Centre, Near Hari Nagar Ghantaghar, Hari Nagar, New Delhi. CGHS Wellness Centre, R. K. Puram Sector-6, New Delhi. CGHS Wellness Centre, No. 68, Kamla Nehru Nagar, Ghaziabad, Uttar Pradesh. CGHS Wellness Centre, Main Vikas Marg, Laxmi Nagar, Delhi. CGHS, Wellness Center, R-55, Sec-11,, Noida Uttar Pradesh.